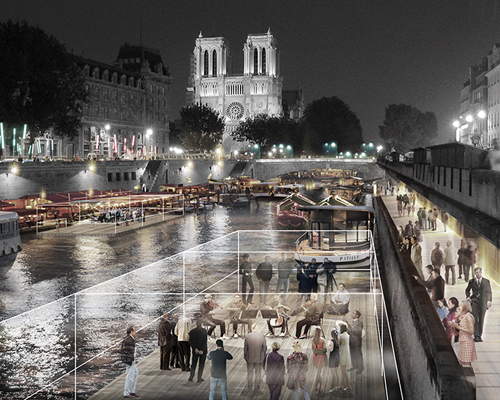 the neighborhood is scheduled to complete in september 2023, ten months before the games get underway in the french capital. 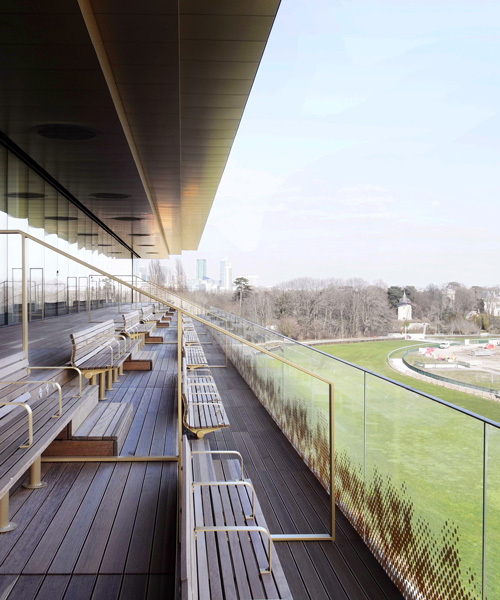 this beautiful structure not only revitalizes this famous track but also the classic french traditions that go along with it. 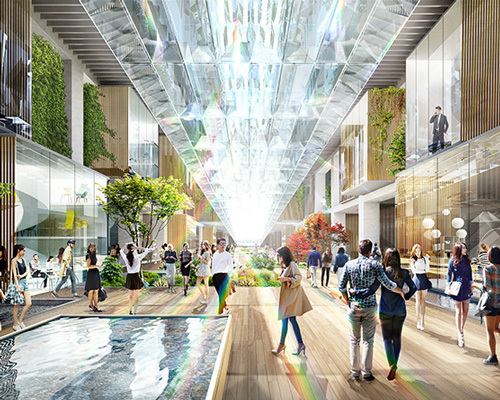 the program includes a multi-modal hub, railway station, urban park, and commercial complex, requiring large-scale underground intervention in the city. 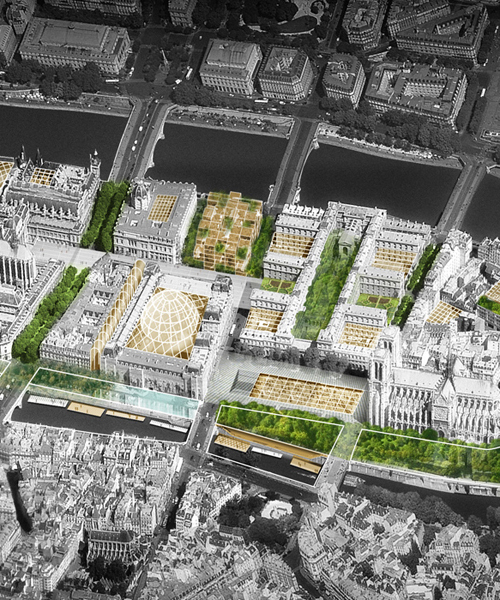 exhibited at the conciergerie museum in paris, the proposal envisions the monument-island in the next 25 years. as well as an inside look at DPA architects' office in paris, we spoke to dominique perrault about his approach to heritage projects and changes in architecture in france. the high-ceilinged space, which opens on to the adjacent courtyards, is the first room visitors see as they make their way into the palace. manufactured by DCW éditions, the collection is original, almost describable, nearly unbreakable, timeless and completely durable. in 2011, the french firm won a competition to rebuild the hall, while preserving the connecting axes that bridged the campus. 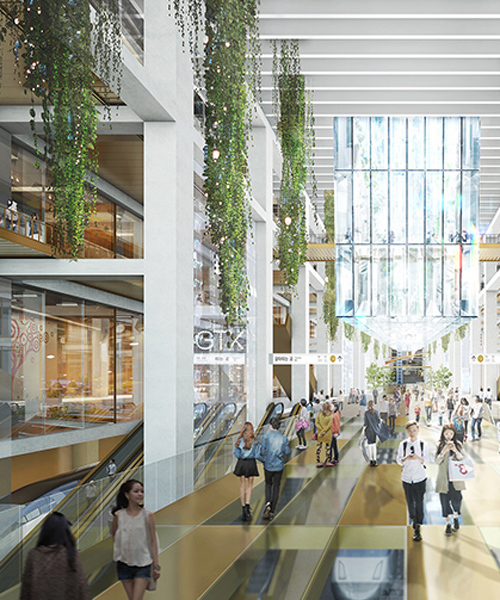 following a complete re-structuring, the symbolic towers have been re-connected and rehabilitated to accommodate different programs such as offices, retail and commercial. 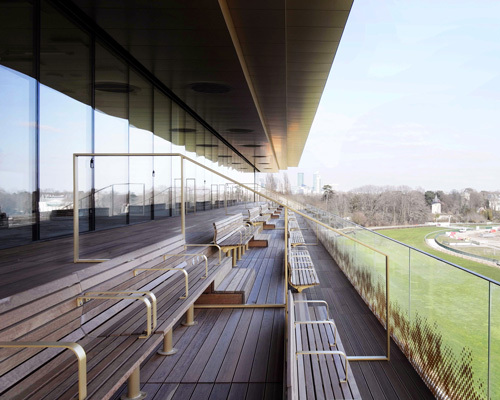 the racecourse has closed its doors to the public as major renovations are carried out at the famed venue. the french architect has been given the esteemed award by the japan art association where each laureate are chosen for their distinguishable achievements within their profession. the underground station complements the city's primary transit hub, and is distinguished by a triangulated steel canopy emerging from a sunken void. the stable rectilinear building is juxtaposed by a light weight copper mesh which lifts toward two public plazas to create its main entrances. designboom attended the official opening of the landmark project inaugurated by its architect dominique perrault. forming a bold addition to the existing structure, the pavilion aims to facilitate and simplify the site's visitor entrance. 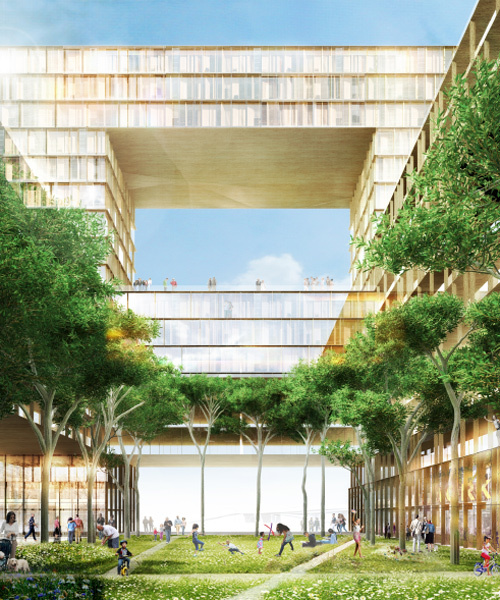 this skyscaper offers voids of collective spaces open to the landscape. at night, the site dematerializes the silhouette of the tower, which appears then like a precious carved stone. the design features a double layer skin that alternates between transparency and silver shades, providing a rhythmic effect to the highly geometric towers. seeking to highlight the different architecture elements that contribute to the identity of the historical raceway, the design integrates and transforms the surrounding landscape into a permeable topography. 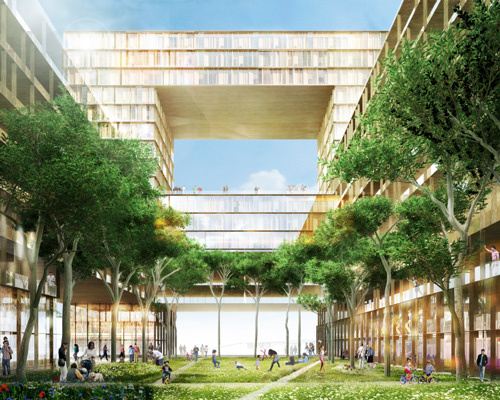 comprised of two towers, the social housing and office project was conceived as a part of the city's initiative to develop the neighbourhoods lining the country's main highway. wrapped in a spiraling metallic ribbon, the bridge consists of two conical structures that subtly expand in their diameter along its more than 250 meter span. influenced by the organic characteristics of an old tree, the facade subtly plays with the glazing to create a 'bark-like' effect which gradually gives way to a sleek and tapered profile. its blade motifs sculpted in wood not only shape the seat and backrest, but create a repetition in three dimensional space. covered with a metallic copper fabric the vertical sides of the building will open like a theatre's curtain. a retrospective exhibition of architect dominique perrault architect is currently on display at the ICO museo colecciones in madrid. the architects used the landscape and geography as a key reference point for designing the volumes, that are made to look like stone blocks and arranged to appear as if they have fallen from the nearby mountains. the institution's campus center structure manages to fit numerous programs within a small space by submerging much of it underground. this is the first time in france, whereby an institution dedicates a large-scale exhibition to the work of the french architect through drawings, photography, models and video.